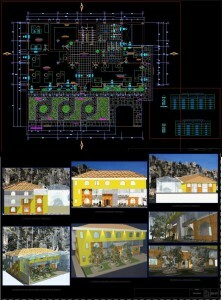 Modern building construction and structural techniques, the use of space as well as modern materials. New office building facades with contemporary cladding materials. municipal government in locality in town located at 4000 msnm.